‘Battle of WITS!’ – an improvised comedy battle of sharp minds and rubber faces, where scenes, stories and songs are made up on the spot and YOU decide the winner! 7pm, 7th – 10th July 2004, Gryphon Theatre, Ghuznee St. 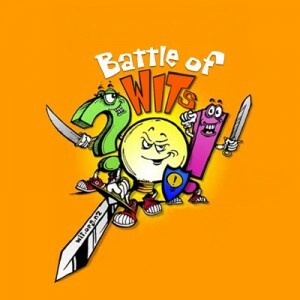 This entry was posted in past shows and tagged Battle of WITS, BOW, improv, improvisation on July 1, 2004 by MaDmin.